Dr. Myra J. Wick M.D. Start reading Natural Hospital Birth 2nd Edition on your Kindle in under a minute. So you want a natural birth. And, by choice or by circumstance, you will give birth in a hospital. You can do it! You will be fighting against the odds, yet a natural birth in the hospital is possible. It is feasible. Your hope is very realistic. 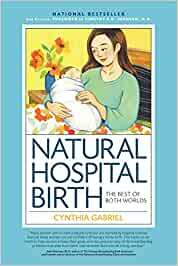 In these pages you will meet women who achieved natural births in hospitals all over North America, as well as their partners and their loved ones. Their stories are inspiring and can teach you what it takes to give birth naturally. If you are like the majority of women in North America, you are interested in letting your body follow its natural course in labor the same way that it has followed its natural course during your pregnancy. You are curious, apprehensive, or perhaps even scared about facing labor pain. You believe that having access to the high-tech specialists and equipment of a hospital will put your mind at ease. But you hope that hightech interventions will be saved for a serious emergency, when they are absolutely necessary. Perhaps you have always known that you will give birth in a hospital. Or perhaps you have investigated giving birth at home or in a birth center. Yet your thoughts or research have led you to decide that these options are not right for you. Many women cannot explain why, but they know that they feel safest giving birth in a hospital. Other women would be interested in out-of-hospital options, but those options are not available or affordable where they live. And still other women find themselves in a 'high-risk' category that makes out-of-hospital birth medically inadvisable. The bottom line is that you desire a natural birth and you feel safest giving birth in a hospital. Setting the intention to achieve a natural hospital birth is a wonderful first step. Women merit the right to choose hospital birth without having to sacrifice the body’s natural process. There is no good reason that pregnant women in North America should not be able to have what they most deeply desire. Natural birth in hospitals is possible. Adrenaline stops labor. Oxytocin moves labor forward. At the end of a pregnancy, a woman’s body needs to relax and ope — literally. The hormone relaxin relaxes your joints so that your pelvis can open fully. Prostaglandins relax and thin out your cervix. Your cervix, which starts out long and hard, smoothes to a thin membrane. Oxytocin courses through your blood, making you feel tender, emotional, and 'ready.' Finally, your body releases endorphins, morphine-like chemicals, to protect you from pain. The uterine muscles contract and stretch in several different directions. 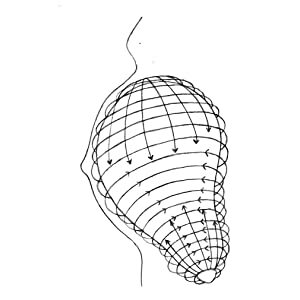 During early and active labor, some muscles are squeezing inward, while others are pulling the cervix upward. When the cervix has dilated 10 centimeters, uterine muscles at the top of the uterus push downward. I am a Nurse Practitioner so already have some idea of the hospital birthing experience but this book still provided me priceless information. I feel so confident with my ability to make informed decisions after reading this book. I highly recommend! 5.0 out of 5 starsI do recommend this book. This book was great. I listened to it through Audible first, then bought the actual book so that I could take notes, etc. If you're interested in natural, hospital birth, DEFINITELY read this. It gives you a lot of possible scenarios and how to deal with/prepare for these situations. Great read, really put things in good perspective and built confidence in being able to deliver naturally / considering different components of one’s birth plan!